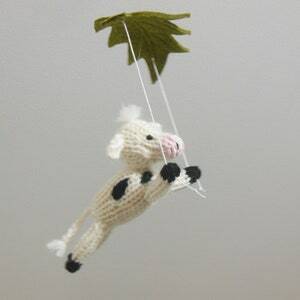 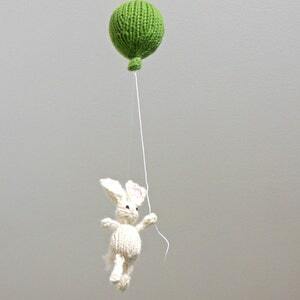 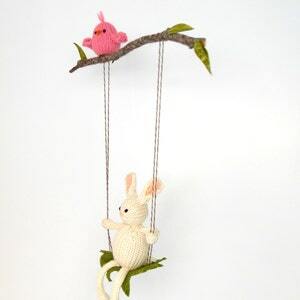 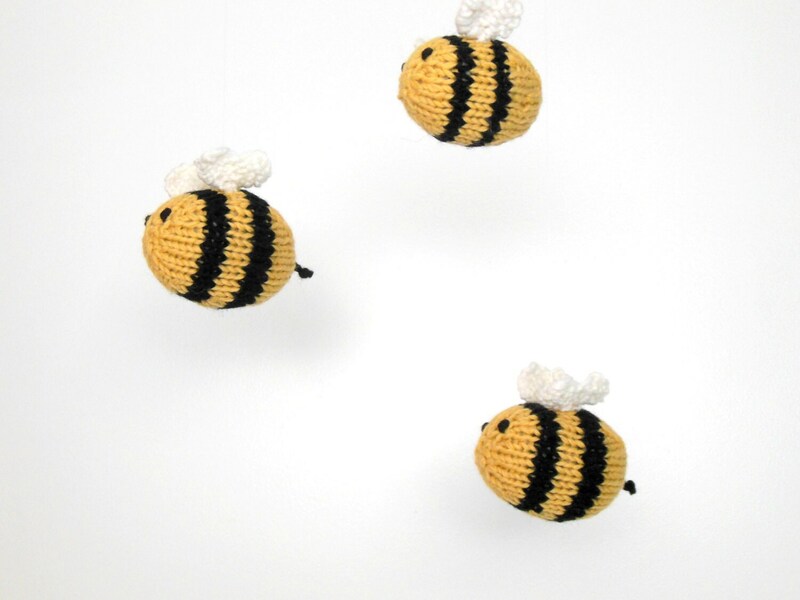 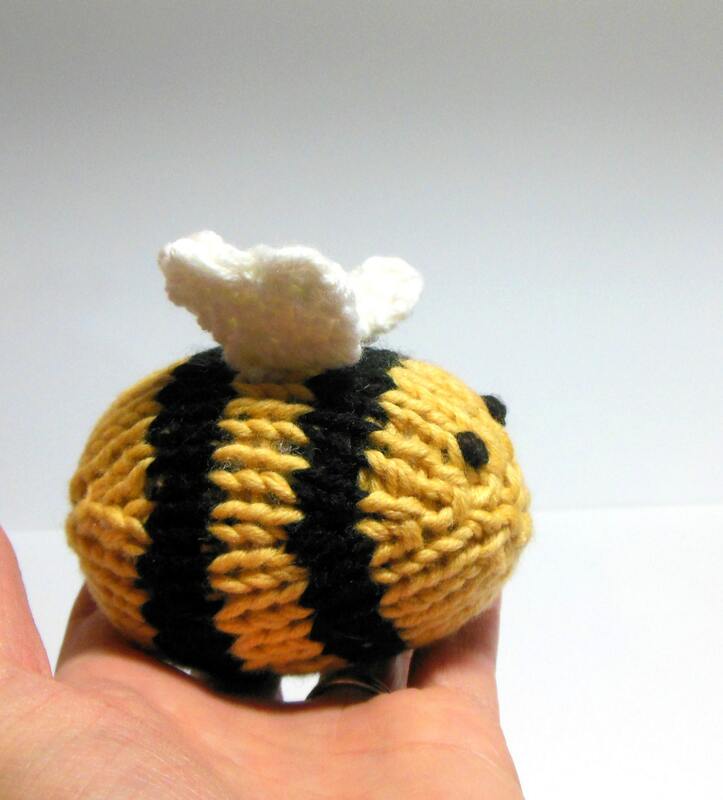 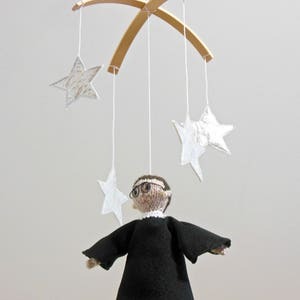 Three Flying Bees mobile is hand knit with natural fibers and will add a charming and eye-catching element to any room. 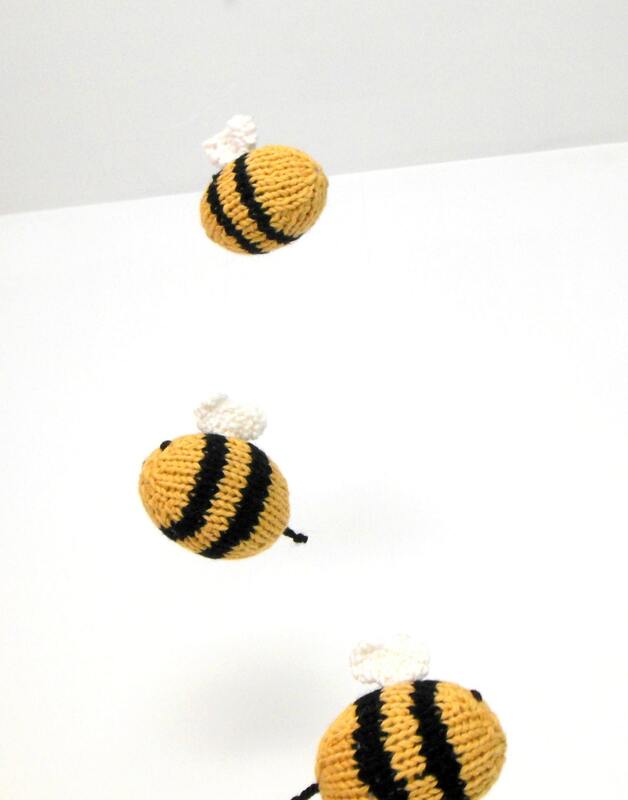 An invisible strand of monofilament is attached to each bee giving the illusion that it is truly flying through the air. 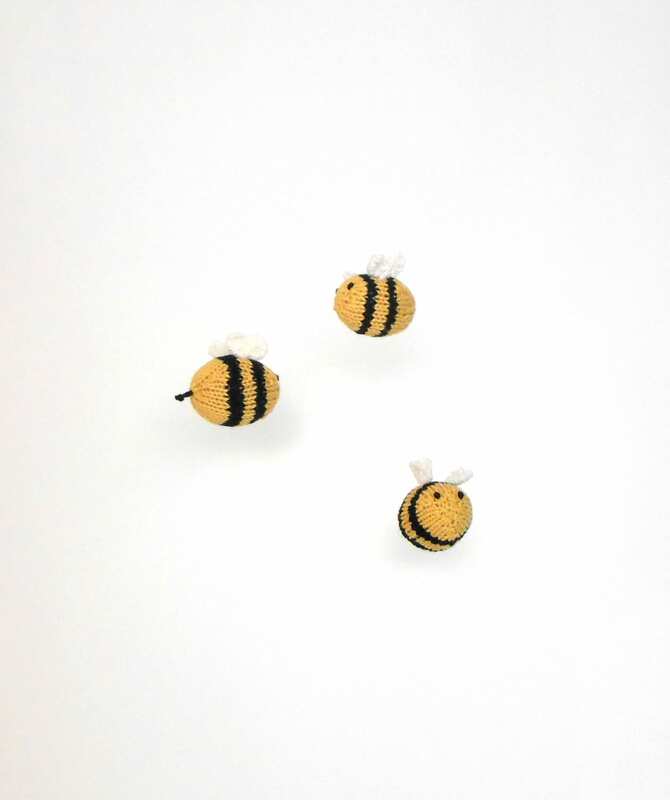 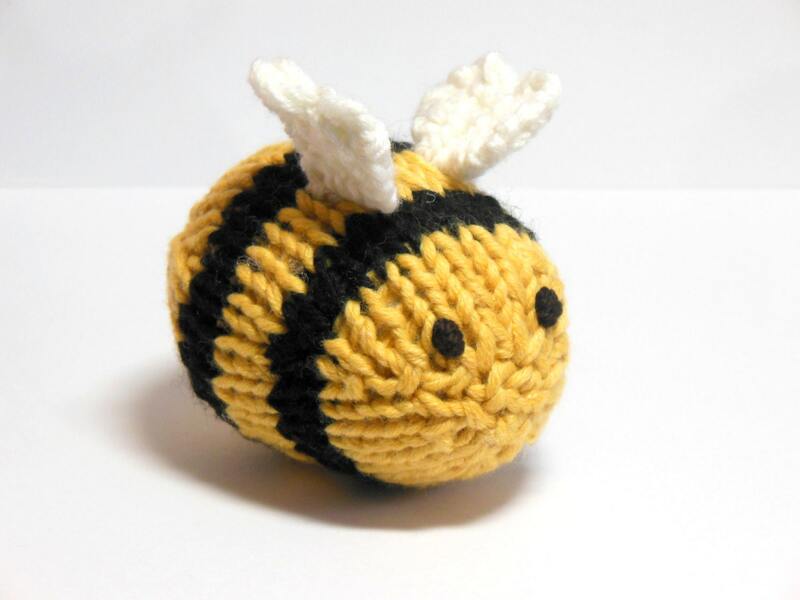 Each bee can be hung separately, allowing you to customize the look.